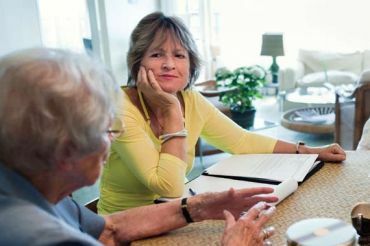 NVVE provides information, consultation and education about euthanasia and assisted suicide in the Netherlands. NVVE lobbies, supports and facilitates research and other initiatives related to the self chosen death. Our motto is: “A dignified life, deserves a dignified death”. NVVE is a society with a membership of 167.000 members and growing annually. NVVE is based in Amsterdam where 30 professionals plan and co-ordinate activities. All over the Netherlands more than 150 volunteers also actively participate in the society (home visits, lectures etc.). NVVE does not prescribe any medication and does not employ doctors to help members die. The annual, individual membership fee of € 17.50 is the sole source of income. No governmental aid is asked or given. Sometimes NVVE receives donations or legacies. NVVE was founded in 1973 as result of a public outcry, concerning the courtcase of Dr. T. Postma. Postma was found guilty of voluntary euthanasia and received a suspended sentence. Dutch public argued that a doctor should be able to terminate life of someone on his/her request. A small but powerful group bonded together, firstly to support Postma, secondly to strive for legal possibilities of euthanasia. NVVE was born. It took nearly 30 years of court cases and lots of courageous and determined activists, doctors, lawyers and politicians to succeed. On April 10, 2001 the Dutch Upper House passed the Euthanasia Bill, named Termination of Life on Request and Assisted Suicide (Review Procedures) Act, earlier approved by the Lower House of Parliament on November 28, 2000. This Act entered into force on April 1, 2002. In the Netherlands it is not an offence for physicians to perform euthanasia, provided they comply with the due care criteria specified in the Termination of Life on Request and Assisted Suicide (Review Procedures) Act and report each case after it has been carried out. In accordance with the due care criteria the physician must, among other things, be satisfied that the patient’s request for euthanasia is voluntary and well-considered and that his suffering is unbearable with no prospect of improvement. Euthanasia can be performed only at the patient’s own request, not at the request of relatives or friends. Physicians are not obliged to grant a request for euthanasia. A physician who does not want to perform the procedure himself should discuss this with the patient and may decide to refer him to another physician. A physician who performs euthanasia should be convinced that the due care criteria of the act are met. This means that the physician has to have sufficient knowledge concerning the patient’s medical history to be able to assess whether the patient’s suffering is unbearable and without prospect of improvement. In addition, the physician has to be convinced that the patient’s request is voluntary and well-considered. This concerns a complex and multi-faceted assessment, and it is up to the physician to decide whether this is possible in case of a request done by a person who does not reside in the Netherlands and has only recently arrived here. More information on this topic is published on the website of the Dutch Government. Advancement of use and social acceptance of existing legal possibilities towards free choice for the ending of life. Advancement of social acceptance and legal regulation of free choice for the ending of life in situations which are not within the scope of existing legal possibilities. Recognition of free choice for the ending of life (and assistance thereby) as a human right.